7 Ways Super Bowl XLVI is Going Green! While there will be plenty of blue and red at this year's Super Bowl, there will also be a big ol' helping of green! From wind power and recycling to of course food, Indianapolis' Lucas Oil Stadium and the Super Bowl Host Committee have joined forces to create the meanest and greenest NFL event ever! 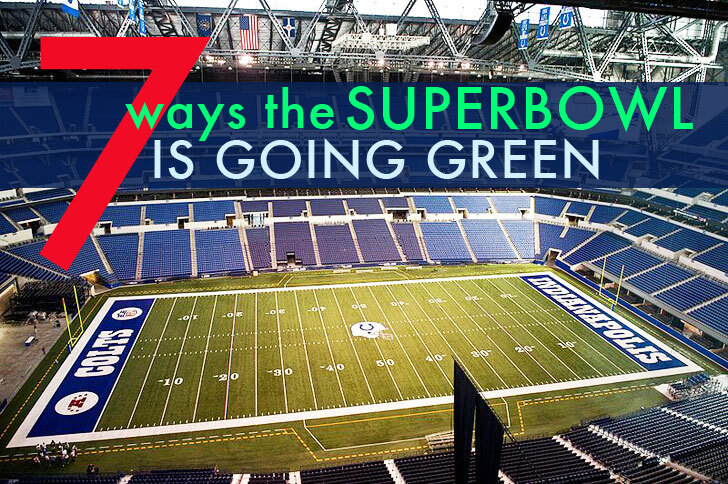 Click ahead to find out the seven ways the Super Bowl XLVI is going green. The Indianapolis Lucas Oil Stadium recently released a list of green initiatives that make any sports outing at their facility more eco-friendly than ever. The famous retractable roof with CPI lighting optimizes natural ventilation and light, while giant fans rather than air conditioners keep sports goers cool. Bathrooms are fully stocked with 100% recycled toilet paper, and timed water faucets preserve water. Even the parking lots are meticulously swept clean before the big day rather than sprayed with thousands of gallons of water. The Super Bowl will take recycling super seriously this year with a number of committee and community based projects. Not only will the stadium provide more recycling bins than ever, but local restaurants, hotels and even residents around the outdoor Super Bowl village will have bins available to the public. Indianapolis recycling facilities will be operating on overtime during the 10 days surrounding the Super Bowl game to accommodate the rush. After the big game, like all their sporting events, the Lucas Oil Stadium also collects aluminum, plastic, glass, and cardboard to be reused or recycled throughout the community. 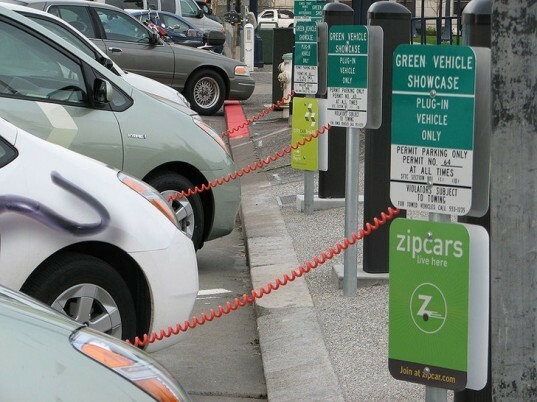 This year’s Indianapolis Super Bowl Host Committee created “Project Plug-IN” which helped fund two giant charging stations for electric cars in the stadium’s parking lot. Eco-friendly drivers can charge their cars while tailgating, as the three block station is at the epicenter of the Super Bowl village. The brand new plug-in station strengthens Indianapolis’s reputation as one of the most EV friendly cities in the country. The second best part of the Super Bowl is the food. The Lucas Oil Stadium has created partnerships with local and organic food vendors as well eco-friendly suppliers who provide biodegradable utensils. Food is bought in bulk to reduce transportation, and most leftover snacks are given to shelters. An amazing local program called Second Helpings also reclaims food from events and cooks it into meals for homeless shelters and missions throughout the city. 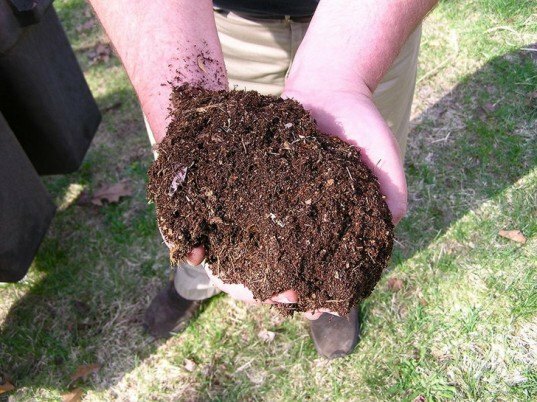 While on the subject of food, the JW Marriott, which is hosting the Media Center for this year’s Super Bowl, will be participating in a unique composting campaign to reduce waste. Hotel and banquet food scraps will be collected in compostable bags and sent to the GreenCycle facilities where they will be mixed with wood chips and processed into compost. With thousands of visitors, the hotel will be keeping tons of food out of landfills. The biggest green points for the big game will be for renewable energy. Both the NFL and the Super Bowl Host Committee will be using green power for nearly everything on game day. From computers to stadium lights, wind power from Green Mountain Energy Company in North Dakota will be running the show. While the Super Bowl can undoubtedly make an impact on the environment, the NFL has taken steps towards lessening the blow throughout the years. 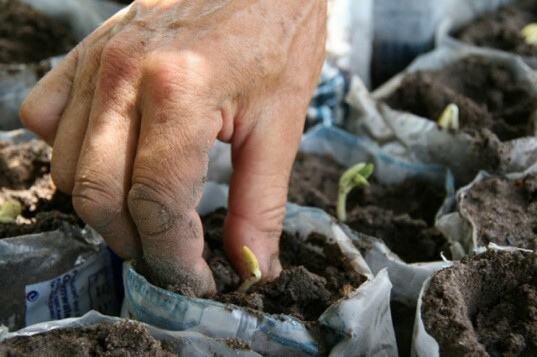 In fact, the league has been pledging and planting 1,000 trees in each Super Bowl host city for the past seven years. Since organizers have stepped up their games, so are the cities who want the bowl on their turf. Each city interested in hosting the Super Bowl must now submit an environmental plan with their bid. Now that’s a game we’d love to see get more competitive! 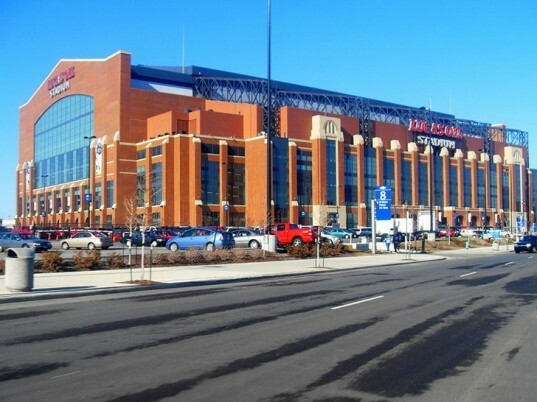 The Indianapolis Lucas Oil Stadium recently released a list of green initiatives that make any sports outing at their facility more eco-friendly than ever. The famous retractable roof with CPI lighting optimizes natural ventilation and light while giant fans rather than air conditioners keep sports goers cool. Bathrooms are fully stocked with 100% recycled toilet paper and timed water faucets preserve water. Even the parking lots are meticulously swept clean before the big day rather than sprayed with thousands of gallons of water. The Superbowl will take recycling super seriously this year with a number of committee and community based projects. 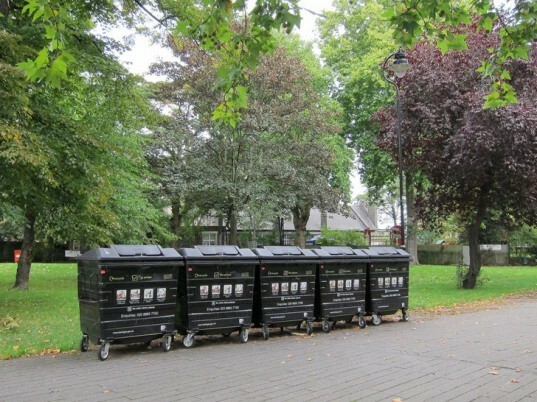 Not only will the stadium provide more recycling bins than ever, but local restaurants, hotels and even residents around the outdoor Superbowl village will have bins available to the public. Indianapolis recycling facilities will be operating on overtime during the 10 days surrounding the Superbowl game to accommodate the rush. After the big game, like all their sporting events, the Lucas Oil Stadium also collects aluminum, plastic, glass, and cardboard to be reused or recycled throughout the community. This year's Indianapolis Superbowl Host Committee created "Project Plug-IN" which helped fund two giant charging stations for electric cars in the stadium's parking lot. Eco-friendly drivers can charge their cars while tailgating, as the three block station is at the epicenter of the Superbowl village. The brand new plug-in station strengthens Indianapolis's reputation as one of the most EV friendly cities in the country. 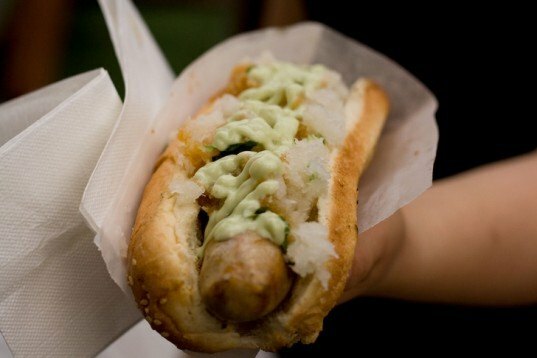 The second best part of the Superbowl is the food. The Lucas Oil Stadium has created partnerships with local and organic food vendors as well eco-friendly suppliers who provide biodegradable utensils. Food is bought in bulk to reduce transportation and most leftover snacks are given to shelters. An amazing local program called Second Helpings also reclaims food from events and cooks it into meals for homeless shelters and missions throughout the city. While on the subject of food, the JW Marriott which is hosting the Media Center for this year's Superbowl will be participating in a unique composting campaign to reduce waste. Hotel and banquet food scraps will be collected in compostable bags and sent to the GreenCycle facilities where they will be mixed with wood chips and processed into compost. WIth thousands of visitors, the hotel will be saving tons of food from entering landfills. The biggest green points for the big game will be for renewable energy. Both the NFL and the Superbowl Host Committee will be using green power for nearly everything on game day. 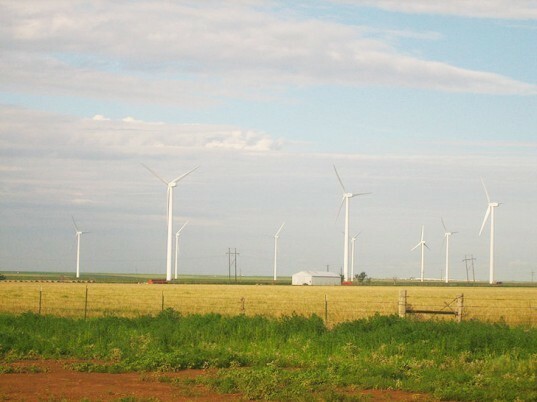 From computers to stadium lights, wind power from Green Mountain Energy Company in North Dakota will be running the show. While the Superbowl can undoubtedly make an impact on the environment, the NFL has taken steps towards lessening the blow throughout the years. In fact the league has been pledging and planting 1,000 trees in each Superbowl host city for the past seven years. Since organizers have stepped up their games, so are the cities who want the bowl on their turf. Each city interested in hosting the Superbowl must now submit an environmental plan with their bid. Now that's a game we'd love to see get more competitive!